Fradel Barber is extraordinary in a world of ordinary. 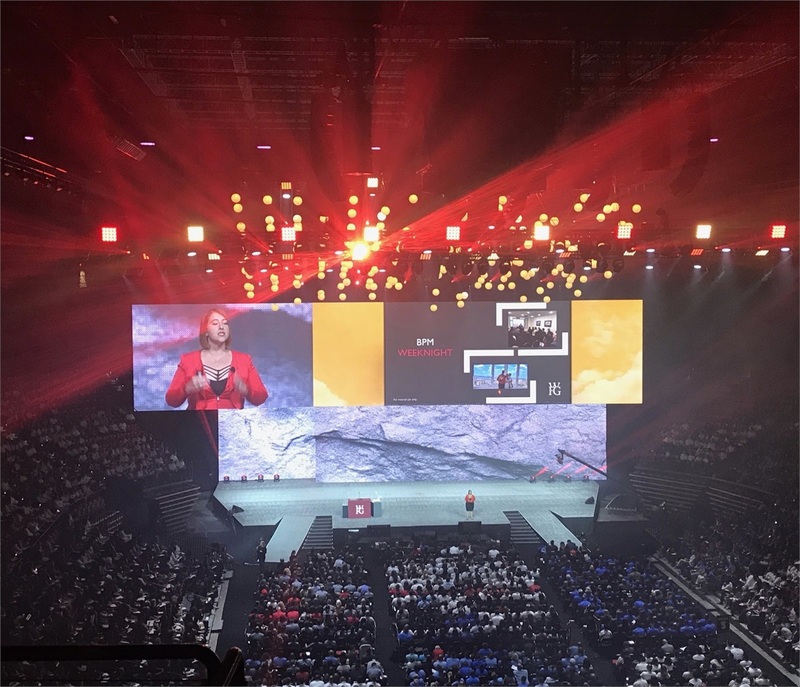 As Visionary Entrepreneur and CEO within World Financial Group-- a Transamerica company, she is an example of success and an inspiration to all who come in contact with her. Fradel came from humble beginnings; while attempting to pay her way through college for fashion design she accidentally found WFG and she turned her future around. In a short time she has become one of the youngest, brightest, and most recognized trailblazers within, Transamerica and World Financial Group, in the fields of financial services, insurance and investments. With her passion for success and will to overcome all obstacles, Ms. Barber operates her main office in New York City on Wall Street in the Financial District. She leads a team of over 500 financial professionals that have offices throughout United States including locations such as; Brooklyn Hieghts, NY; Long Island, NY; Orlando, FL; Kissimmee, FL; West Palm Beach, FL; Ft Lauderdale, FL; Encino, CA;, Philadelphia, PA; Alexandria, VA; Danbury, CT and Raleigh, NC. Her success and influence is far reaching; by her ability to educate and assist families, individuals and businesses in the planning of their financial future as well as mentor and coach future leaders within the industry to do the same. She is very passionate about helping people not only with their finances; but also in the business and personal growth of the people she mentors. Among Fradel’s accomplishments is her involvement and enthusiasm for promoting women in the business world as well as in a growing number of philanthropic projects that have a positive impact on the world. 2010 - Women & Wealth Founder – An annual event to educate women on how to build wealth, network with other women and benefit a local non- profit organization, put on by World Financial Group Associates and affiliated organizations. Beneficiaries of Woman & Wealth include First Step Program of Coalition of the Homeless. 2011 - Member of Leadership Network of WFG; a handpicked group of emerging leaders in the World Financial Group network of entrepreneurs, focused on developing leaders that will make an impact in the financial industry and influence change worldwide. 2011 - 145th Annual Celebration Honoree with Co-Honoree Mayor Michael Bloomberg; Brooklyn Community Services’ 145th Anniversary Celebration Dinner, is their largest fundraising event of the year. Proceeds support BCS's recognized, award-winning early childhood, after-school, family preservation and employment training programs. 2011 - Western Reserve Life Field Advisory Council Member; Served on Advisory Council to give input on improved products, sales and operations through better field and Home Office communications and coordination between WRL and WFG. 2012 - Member of The National Association of Professional Women (NAPW); an exclusive network for professional women to interact, exchange ideas, educate, and empower. 2012 - Pipeline Angels – Member of Pipeline Angels; trains women philanthropists to become angel investors through education, mentoring, and practice. Fellows commit to invest in a woman-led for-profit social venture in exchange for equity and a board seat at the end of the training. 2013 - WFG Innovation Committee - Served on World Financial Group Corporate Innovation Committee to develop ideas and innovations for the WFG field force and business platform; including marketing materials, campaigns and various other initiatives. 2013 - 2014 - Transamerica Life Distributors (TLD) Advisory Council Member: Served on the TLD Advisory Council to provide valuable feedback on product design and implementation, and to lay a solid foundation that will allow TLD to further align with the WFG field force. 2015 - Elected as Executive Board Member for All For One Organization. All For One is a growing children's charity that is focused on changing the lives of children around the world by improving social conditions. We primarily focus on health and education, and collaborate with other small and large organizations to improve conditions and create hope. 2016 - THINK: The Legacy of Think and Grow Rich Movie. Associate Producer and Cast Member in the docudrama based on the best selling book "Think and Grow Rich" by Napoleon Hill alongside Barbara Corcoran, Bob Proctor, Lewis Howes and other thought leaders and successful entrepreneurs. 2017 – 2018 – Launched the first World Changers Wealth Bowl Event: The Ultimate Freedom Championship. East coast regional event for 500+ financial entrepreneurs to educate, train and inspire them to achieve greatness. 2011 - National Expansion Award – Awarded by World Financial Group Headquarters Duluth, GA with the National Expansion Award for being a pioneer in the expansion of offices in the New York area. 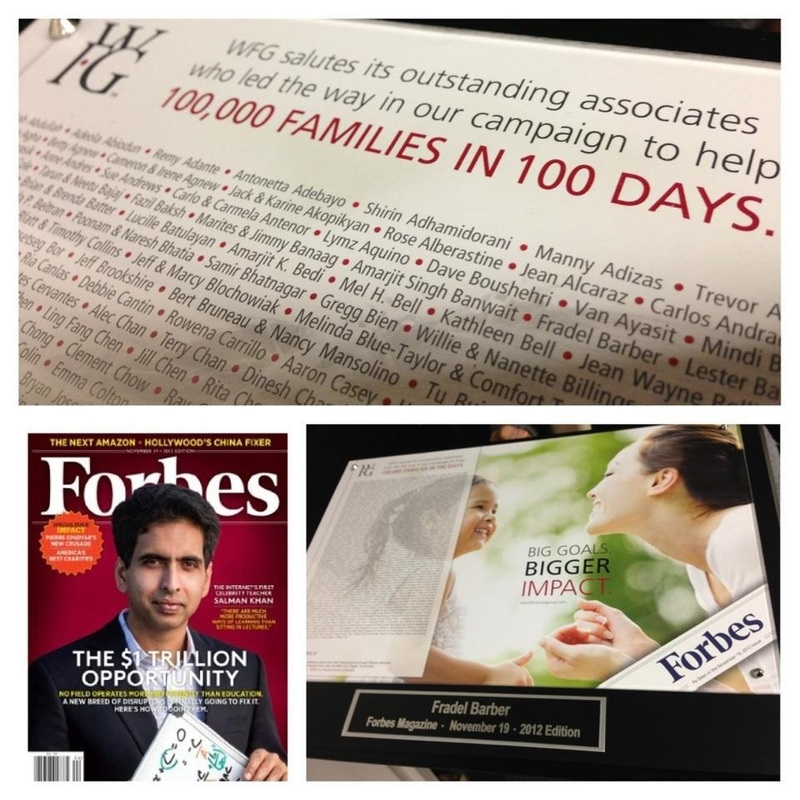 2012 - Featured in Nov 19, 2012 edition of Forbes Magazine - Saluted by World Financial Group as being one of its outstanding associates who led the way in the campaign to help 100,000 families in 100 days.